Founders: There are two: Bill Bowerman, the legendary University of Oregon track & field coach, and Phil Knight, a University of Oregon business student and middle-distance runner under Bowerman. The long-lived business partnership began in Januaray 1964 as Blue Ribbon Sports (BRS). First-year sales totaled $8,000. In 1972, BRS introduced a new brand of athletic footwear called Nike, named for the Greek winged goddess of victory. Employees: Nike employs approximately 26,000 people worldwide. In addition, approximately 650,000 workers are employed in Nike contracted factories around the globe. Revenue FY'05: Nike reported net revenues of $13.7 billion, a 12 percent increase from FY'04. Stock Symbol: NKE. Went public in December 1980 and is traded on the New York Stock Exchange. 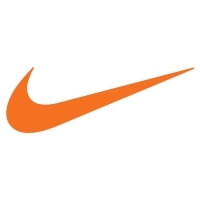 Facilities: Nike owns facilities in Oregon, Tennessee, North Carolina and The Netherlands, and operates leased facilities for 14 Niketowns, over 200 Nike Factory Stores, a dozen NikeWomen stores and over 100 sales and administrative offices. Cole Haan Holdings, Inc., With its headquarters in Yarmouth, Maine, Cole Haan sells a line of dress and casual footwear, apparel and accessories for men and women under the brand names Cole Haan, g Series and Bragano. Bauer Nike Hockey, Based in Greenland, New Hampshire, Bauer Nike Hockey manufactures and distributes ice skates, skate blades, in-line roller skates, protective gear, hockey sticks, hockey jerseys, licensed apparel and accessories under the Bauer and Nike brand names. Bauer also offers a full line of products for street and roller hockey. Hurley International LLC, Headquartered in Costa Mesa, California, Hurley International designs and distributes a line of action sports apparel for surfing, skateboarding and snowboarding, and youth lifestyle apparel and footwear under the Hurley brand name. Nike IHM, Inc., Based in Oregon, Nike IHM makes AIR-SOLE cushioning components used in Nike footwear products and sells small amounts of various plastic products to other manufacturers. Converse, Inc., Based in North Andover, Massachusetts, Converse designs and distributes athletic and casual footwear, apparel and accessories under the Converse, Chuck Taylor, All Star, One Star and Jack Purcell brand names. Exeter Brands Group LLC, Based in New York, Exeter Brands includes the Starter, Team Starter and Asphalt brand names and is the master licensee of Shaq and Dunkman brands. The Exeter Brands Group is devoted to designing and marketing athletic footwear and apparel for the retail value channel. Headquarters: The 16 buildings at world headquarters in Oregon are a soft-spoken testimony to the beauty of sports. Nike employees are typically active people who take full advantage of the fields, trails and gyms that dot the 178-acre spread. Each building is named after an athlete who is key to Nike's growth over the years. Retail: The first Niketown opened in Portland, Oregon in 1990, setting the standard for interactive, immersive brand environments. Averaging over 30,000 square feet of selling space, Niketowns attract millions of consumers every year and employ over 4,000 Nike retail associates in the US alone. Currently, there are 14 US and four international Niketown stores. In addition, the company has been operating Nike factory stores around the world since 1984, with more than 80 stores now in the United States. In October 2001, Nike opened the first NIKEgoddess store, dedicated exclusively to active women. In 2004, NIKEgoddess changed its name to NikeWomen. There are now over 12 stores in the US, Canada and Europe. Manufacturing: As of May 31, 2004, Nike brand had 137 factories in the Americas (including the US), 104 in EMEA, 252 in North Asia and 238 in South Asia, providing more than 650,000 jobs to local communities. This total excludes the amount of jobs provided by manufacturers of Nike subsidiaries. Nike is the first company in our industry to publish the names and addresses of all factories making Nike branded product.